Shome Dasgupta on writing stories from his family’s native India to South Louisiana in a new collection. This collection of stories once belonged to a larger collection, most of which aren’t in Anklet And Other Stories. The original collection didn’t have a specific theme or common link other than they were about Indians living in America. I found the original collection to be didactic, cliché and horribly written—this was my first full attempt at writing fiction after having a couple of poems published. I put this manuscript away and didn’t touch it until a few years later, after my 2003 visit to Kolkata, India, where my family is from and where most of my relatives, including grandparents and cousins, lived. Being older and more in tune during this visit, I was able to soak in Kolkata much more than before. The poverty loudly flashed in my face, and there was no way around it. But at the same time, amidst the ruggedness, there was elegance, an elegance that humbled me through the interactions with my family members and strangers. During this past visit, I vividly remember feeling guilty while riding a foot rickshaw. I remember seeing his calves, very thin but all muscle, the back of his neck covered in sweat, the sound of his breath, as he jogged through traffic with us on his back, so to speak. I felt bad because I thought about the struggle he had to go through every day. Such a tough life, and I then thought about my own life, and I was able to put my personal world into perspective in relation to the rest of the world. However, within this guilt, I felt a bit better knowing that we were supporting him, for if he didn’t do this, he wouldn’t be able to take care of himself or his family, pay bills, buy food and so on. It’s harsh reality to come to terms with, still to this day. Another vivid memory also involves an experience while traveling through the streets of Kolkata. We were stuck in traffic, and I remember seeing this large, long construction pipe—I didn’t notice them at first—but when I looked at it again, I saw a child inside as well as a baby, taking shelter. There is so much beauty and history belonging to Kolkata, but sometimes these beauties aren’t just the buildings or the parks and so on. Sometimes, it’s simply the humanity. 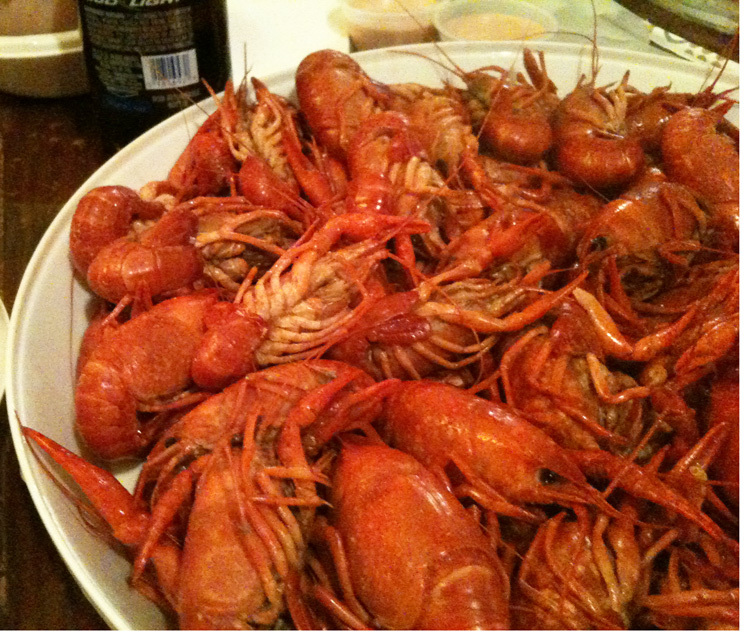 Read a pair of Cajun stories by Shome Dasgupta here. I became quite ill during the 2003 trip to the point that I had lost 20 pounds. I coughed so much and lost so much weight that I had a six-pack stomach for the first time in my life. One night, my parents went out to visit with relatives, and I stayed in my grandparents’ bed. My grandmother, who had Parkinson’s disease, had passed away a couple of years before, and I stayed on her side of the bed. My grandfather, who was in his late eighties or so at the time was severely ill with his own asthmatic problems, as well as other physical ailments. Though he could walk, he could barely talk, and his coughing spasms made me cry, whether internally or externally. That night, we both spent a good bit of time coughing as we lay on separate sides of the bed. I was sweating, not from the Kolkata summer, but from the coughing and feverish temperature. My grandfather, struggling, got up from his side of the bed and with small steps, walked over to my side. He put the palm of his hand on my forehead to check my fever, to see if I was okay. It was humblest I felt for all of my visit there. A man, quite ill himself and elderly, trying to take care of his sick grandson. Being home-ridden for extended days, I began using my grandfather’s typewriter, working on poetry related to the aura of India. This eventually turned into short stories once I returned to Lafayette. Once I finished the original draft of stories, I put it away for four or five years until my time in Kolkata fully seeped through my skin, giving ideas for new stories. I began writing again—some stories were loosely based on my experiences in Kolkata, others were completely fictional but Indian themed. Once I had this newer collection, I took out those most recent ones and submitted them. After a good bit of time, I was able to get quite a few of these stories published in various journals. These published stories, along with a few unpublished stories, became Anklet And Other Stories, dealing with family visits, adjusting to Kolkatan culture, poverty, customs and so on. I was delighted to find that Golden Antelope Press wanted to take on this manuscript a few years later. My time spent in India, these experiences and observations, moments of happiness and sadness all accumulated as this collection of short stories, whether directly or indirectly. My intentions were to create a certain tone associated with the surreal life I experienced while in Kolkata. I am always and forever grateful for my Indian background, from my grandparents to relatives to strangers to the cawing birds and barking stray dogs. And whenever I find myself lost in my ways, this way and that, I think about Kolkata, my heritage, my background and I find myself again. Shome Dasgupta is a high school English teacher, living in Lafayette, Louisiana. He is the author of i am here And You Are Gone (winner Of The 2010 OW Press Fiction Chapbook Contest), and The Seagull And The Urn (HarperCollins India, 2013), which has been republished in the UK by Accent Press as The Sea Singer (2016). 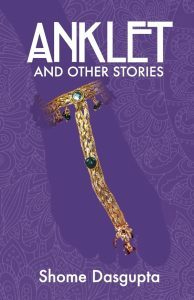 Anklet And Other Stories (Golden Antelope Press) is his first collection of short stories. His stories and poems have appeared in Puerto Del Sol, New Orleans Review, NANO Fiction, Everyday Genius, Redivider, Magma Poetry and elsewhere. His fiction has been selected to appear in The &Now Awards 2: The Best Innovative Writing Anthology (&Now Books, 2013). His work has been featured as a storySouth Million Writers Award Notable Story, nominated for The Best Of The Net and longlisted for the Wigleaf Top 50. Follow him on Twitter @laughingyeti.